The Wells Fargo Center, formerly the Wachovia Center, is the smallest of the Sports Complex stadiums, and is also the only indoor one. It is predominantly used for sports, being home to the Philadelphia Flyers of the National Hockey League and the Philadelphia 76ers (also referred to as Sixers) of the National Basketball Association. It is also the venue for many of the major concerts to come to Philadelphia and the Philadelphia Soul of the Arena Football League. It was opened in 1996, before Citizens Bank Park and Lincoln Financial Field, making it the oldest building in the Sports Complex. 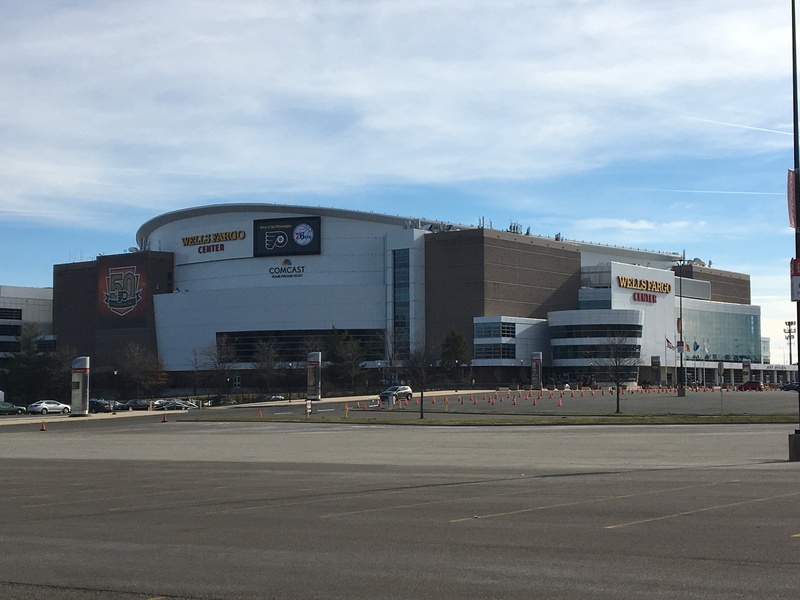 In its first 20 years, it hosted the Stanley Cup twice, the NBA finals once, numerous NCAA tournaments, as well as two major political events; the 2000 Republican National Convention, and the 2016 Democratic National Convention. The concourse of the arena has a variety of food available, including national chains to beloved Philly brands such as Dietz and Watson and Rita’s Water Ice. There’s even Chick-fil-A and Shake Shack in the concourse. The official team stores for both the Flyers and the 76ers are located by the Broad Street entrance. The 76ers play in the Atlantic Division of the National Basketball Association, alongside the Boston Celtics, Brooklyn Nets, New York Knicks, and Toronto Raptors. The Sixers were created when the Syracuse Nationals moved to Philadelphia in 1963. Shortly after this relocation, they acquired basketball legend Wilt Chamberlain, a Philadelphian himself, who led the Sixers to be NBA champions in 1968. The team would go on to win one more NBA Finals, in 1983.